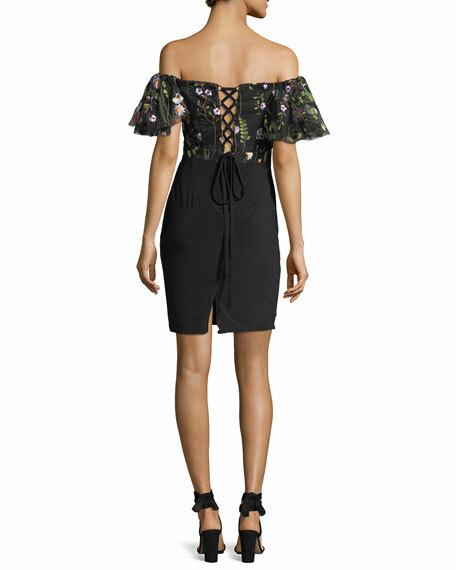 Faviana cocktail dress features a floral-embroidered lace bodice and solid jersey skirt. Faviana has gained a spotlight for creating eveningwear with innovative style. Headquartered in the Fashion District of New York, Faviana sources all of its own material to create designs with the fashion-smart girl in mind. 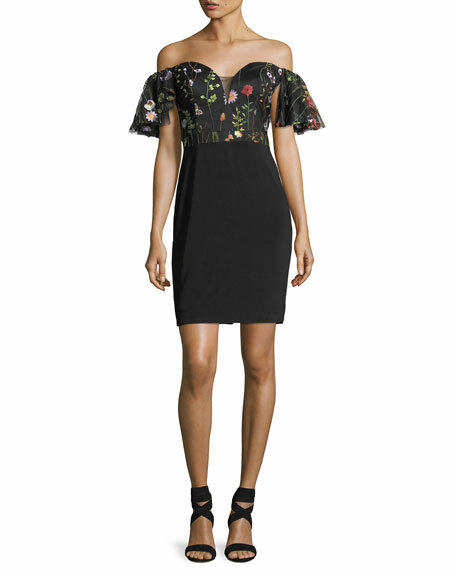 From prom dresses, cocktail dresses, Sweet 16, and wide selection of party dresses, Faviana designs are always on target. For in-store inquiries, use sku #2314344.